“Winds Of Change” will be released April 26, 2019, on Frontiers Music srl. 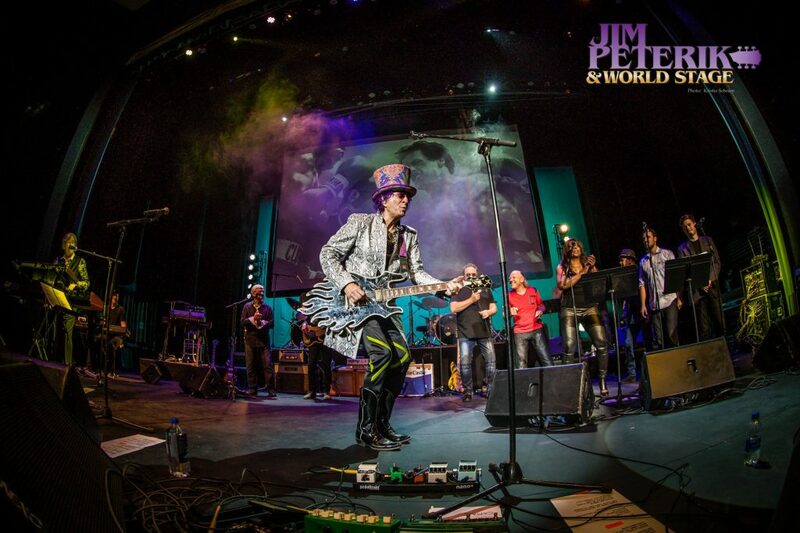 “Winds Of Change” is the long-awaited follow-up to Jim Peterik’s now legendary “Jim Peterik’s World Stage” album. 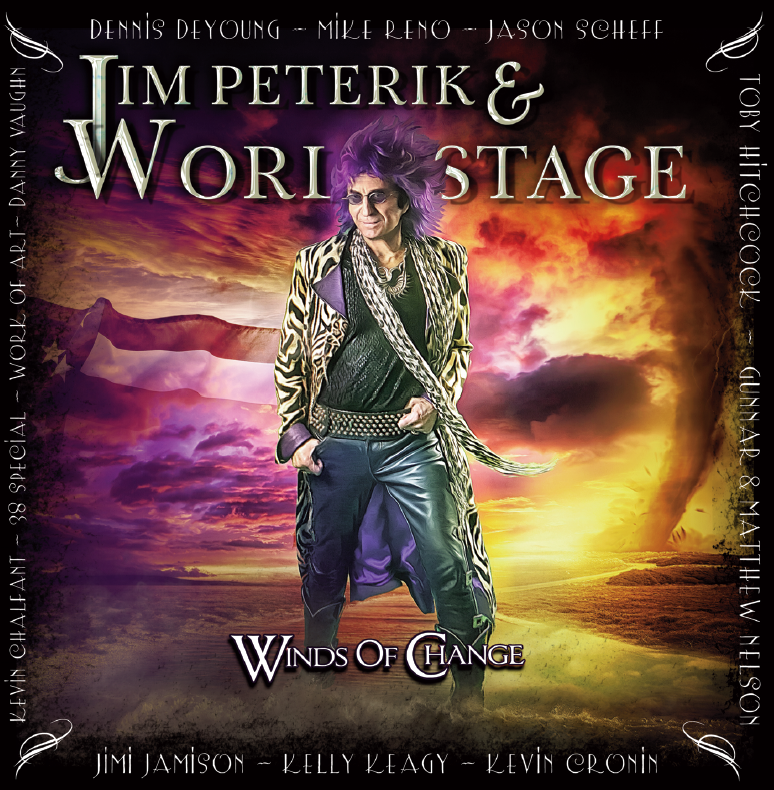 Set for release on April 26, 2019, “Winds of Change”, is another musical masterpiece featuring brand new Peterik songs in collaboration with a who’s who of melodic rock’s greatest superstars, including Kevin Chalfant (ex-The Storm), Dennis DeYoung (ex-Styx), Matthew and Gunnar Nelson Band, Kelly Keagy (Night Ranger), Lars Safsund and Robert Sall (Work of Art), Toby Hitchcock(Pride Of Lions), Danny Vaughn (Tyketto (The Official)), Mike Reno (Loverboy), Kevin Cronin (REO Speedwagon), Jason Scheff (ex-Chicago), and a very special previously unreleased track by the late, great Jimi Jamison. “I am a rabid fan of every artist on the album and it was such a thrill to try and bring out their best essence, but for me the most touching moment of this record is reviving an amazing lost track by the late great Jimi Jamison. As I mixed the new version, it was again like having Jimi in the studio with me as his stunning voice came through the monitors. There was not a dry eye in the room. With “Love You All Over The World”, his spirit is still with us all,” adds Peterik. “Winds Of Change” certainly carries on that tradition and shows are in the planning stages that will reflect the line-up of this record. 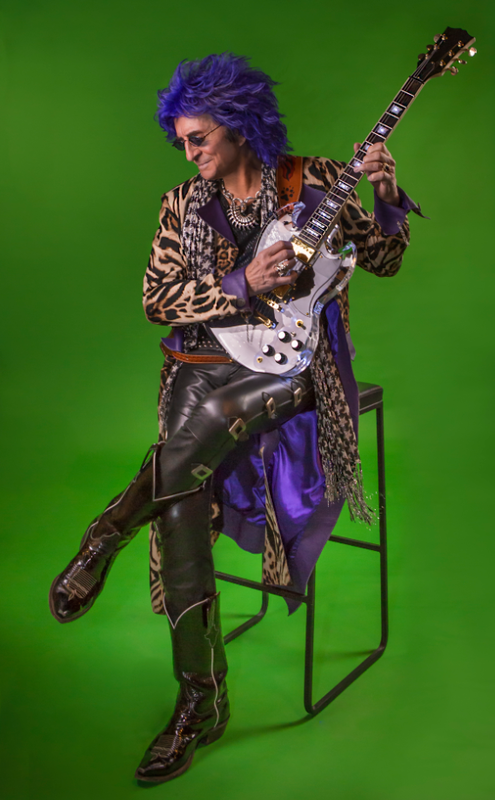 Jim Peterik, through the years, has written or co-written some of rock’s most memorable songs: “Vehicle” by the The Ides Of March (on which he was lead vocalist), “Eye Of The Tiger,” “The Search Is Over,” “High On You,” and “I Can’t Hold Back”, hits for .38 Special such as “Hold On Loosely,” “Caught Up In You,” “Fantasy Girl,” and “Rockin’ Into The Night”, “Heavy Metal” with Sammy Hagar, and many many more. Peterik, now a part of Pride of Lions with vocalist Toby Hitchcock, is one of the most esteemed and loved recording artists and songwriters, not only on the Frontiers label, but in the larger melodic rock community.